Room Size: 26’ x 36’, 936 sq. ft. 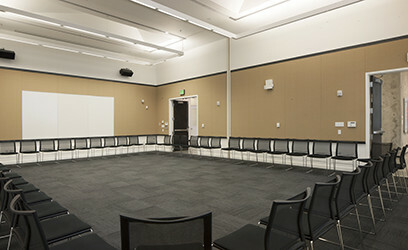 The Kinzie Room opens directly into the Brower Center’s Hazel Wolf Gallery and Atrium Lobby, an impressive pre-function gathering area. 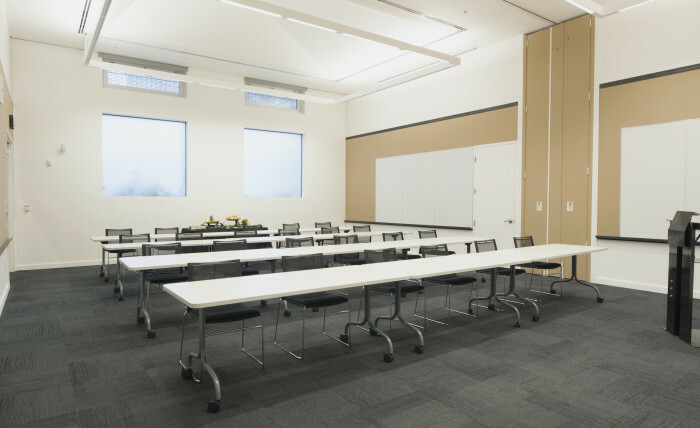 This conference room is best suited for classes, meetings, or as a breakout space. 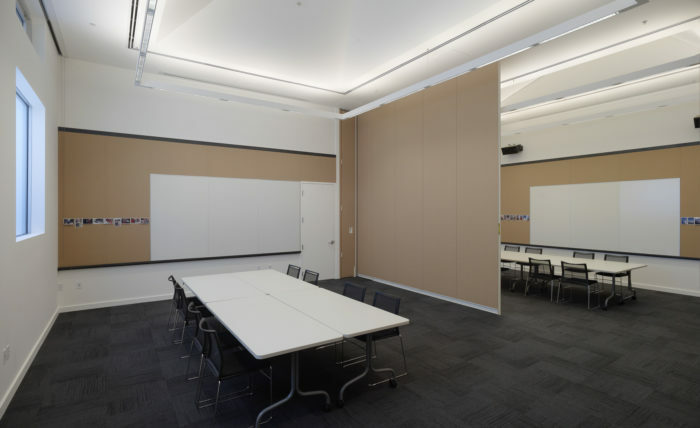 The room features tackboard and whiteboard walls, an airwall to divide the room in two separate spaces, and full audio/visual capabilities. For complete details, visit our Rates page. 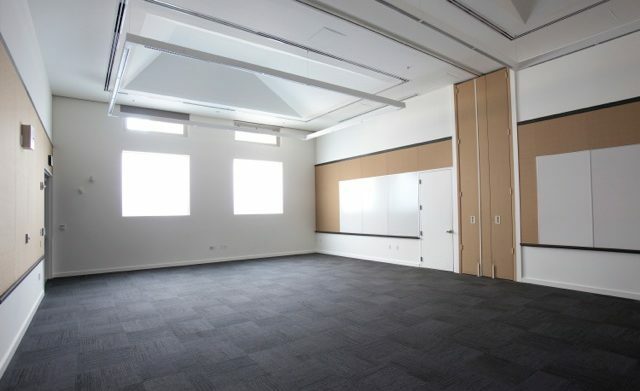 Click here to inquire about availability of the Kinzie Room, or email events@browercenter.org.